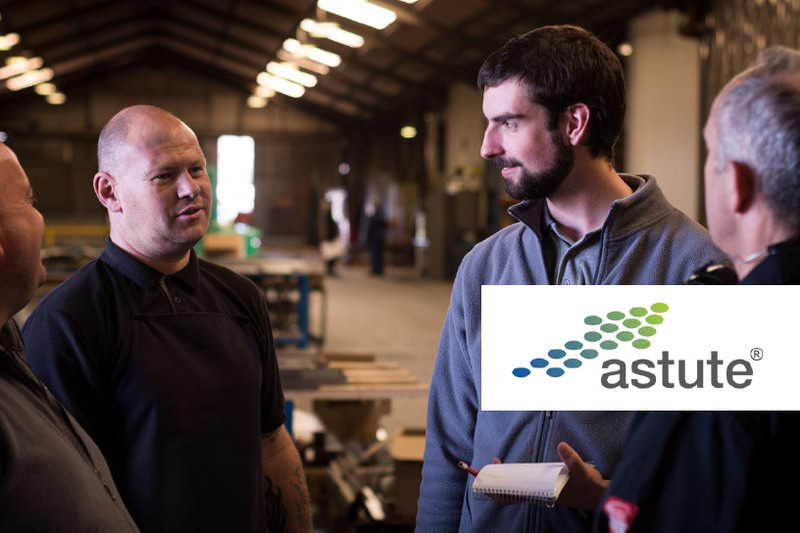 ASTUTE (Advanced Sustainable Manufacturing Technologies) is a European funded project supporting more than 250 Welsh companies – designed to improve sustainability and competitiveness through improved process, accelerated research and development and new product development. During the 18 month project, a full analysis of Amcanu’s operations was conducted and a manufacturing feasibility study was produced. This enabled ASTUTE to really understand our business, before identifying areas for improvement and making recommendations that suited the way we worked. As a result, the ASTUTE process helped us make significant improvements in our manufacturing process control and our manufacturing environment. These improvements led to greater efficiency, more capacity, reduced stock holding, greater accountability and shorter production lead times. Any one of these improvements would have made the investment worthwhile. Ultimately, the project lived up to its name and really did make Amcanu more ASTUTE.